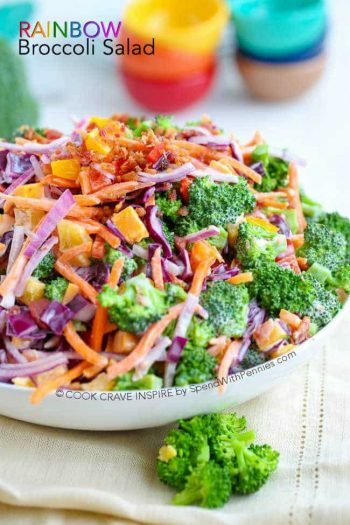 Broccoli Salad is a quick summer salad recipe that everyone always LOVES! 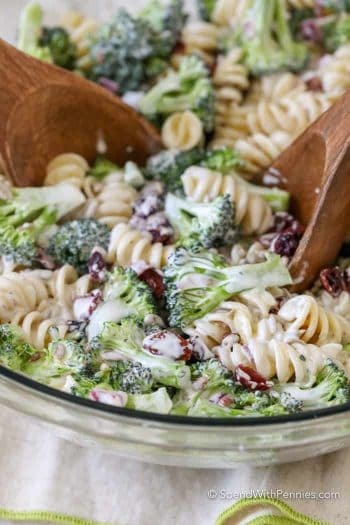 Fresh and colorful broccoli, dried cranberries, sunflower seeds, and bacon bits are tossed in a creamy homemade dressing. 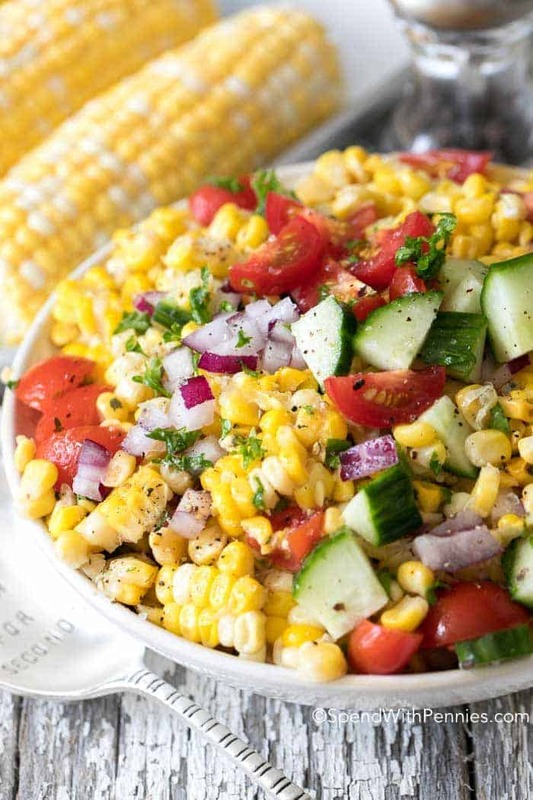 This is the perfect potluck dish; great to serve along side Grilled Honey Mustard Chicken with some fresh Crock Pot Corn on the Cob! 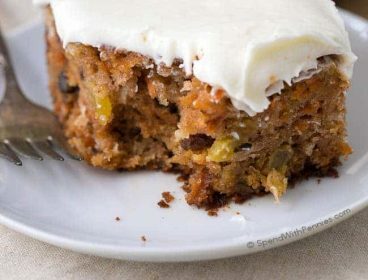 Not only is it easy to make ahead of time but everyone raves about it! 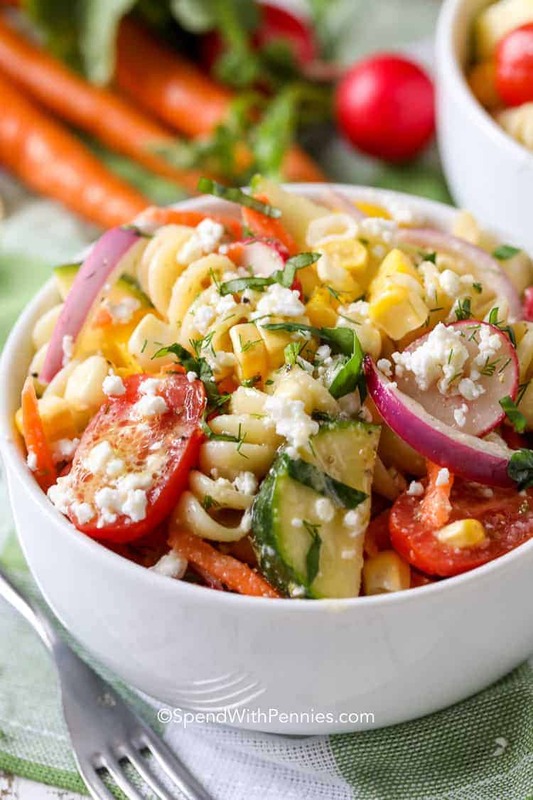 My family absolutely LOVES their vegetables so I always serve fresh salads! 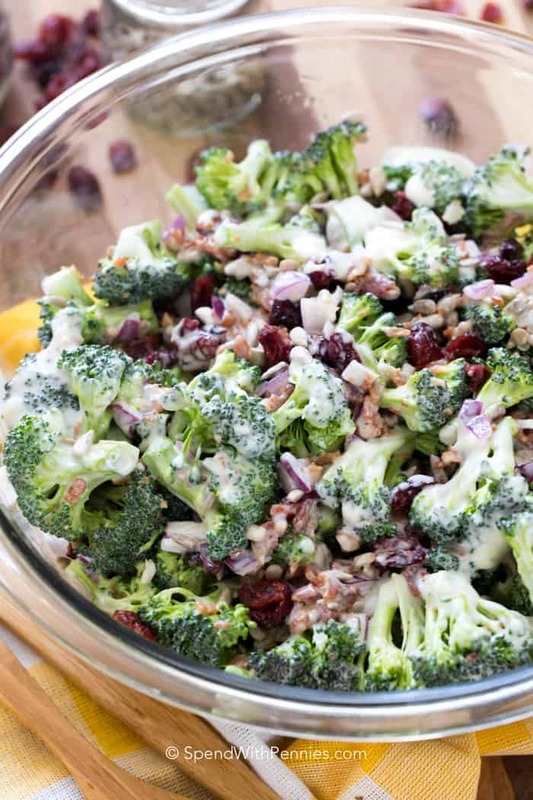 Along with Creamy Cucumber Salad, this Broccoli Salad is one of our favorites! 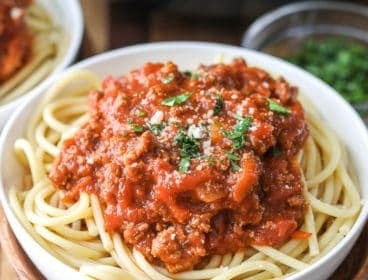 It’s so incredibly easy to make and my kids love it almost as much as I do! 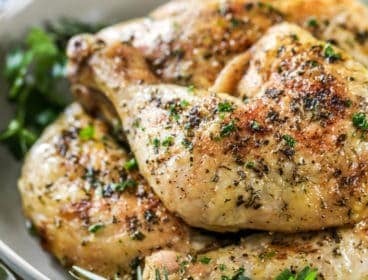 I love making this for potlucks and barbecues, it is always a smash hit! 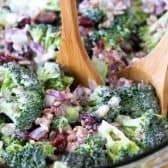 When we fire up the grill at home to make some kabobs or perfectly grilled steaks, I always make sure I have this broccoli salad ready to go as a side dish! 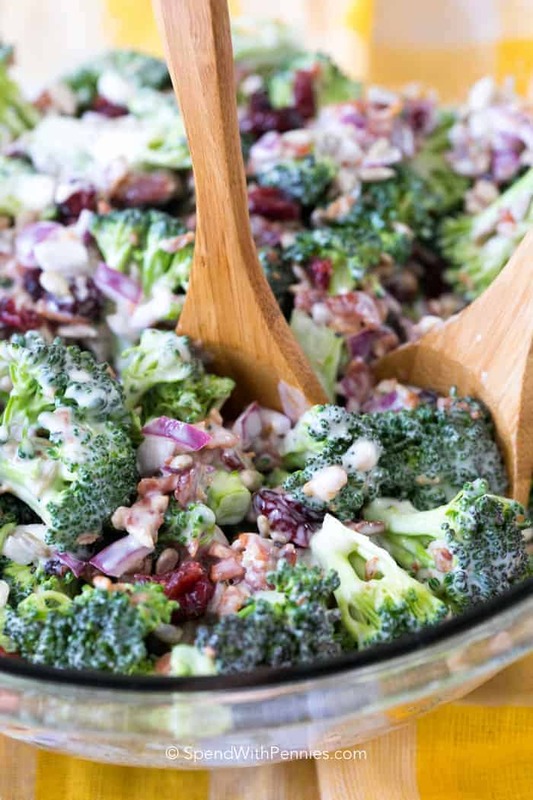 Broccoli Salad can be made in advance and kept in the fridge until you’re ready to serve it, which makes it so much easier to get everything together! 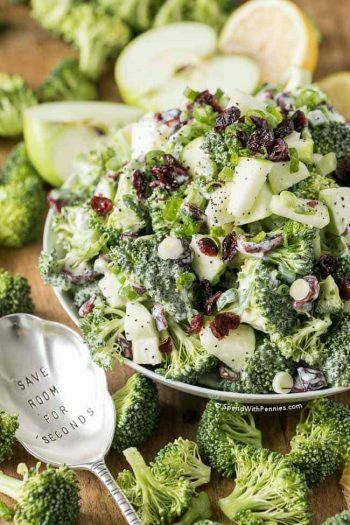 Broccoli salad is probably one of the easiest salads you will throw together, which is why it has become a favorite summer salad! I prefer a creamy broccoli salad dressing rather than using a vinaigrette style dressing. 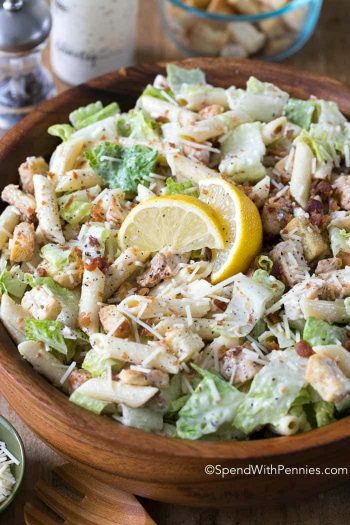 Simply whisk together mayonnaise, apple cider vinegar, sugar, salt and pepper to make your delicious creamy dressing! Next, wash and cut the broccoli into bite sized pieces and drain well! 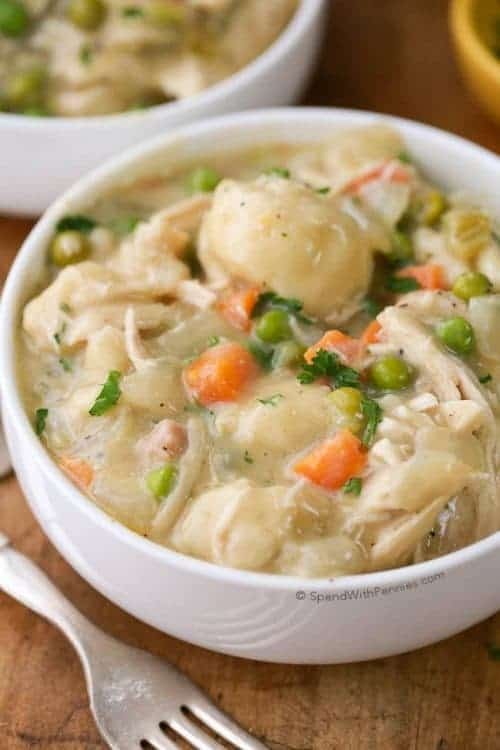 Add all of your ingredients into a large mixing bowl, and toss them. 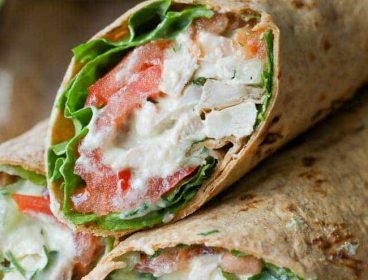 Add your dressing and toss well so everything is coated! Bacon bits and sunflower seeds can clump together when you add the dressing, so make sure you toss everything together well. 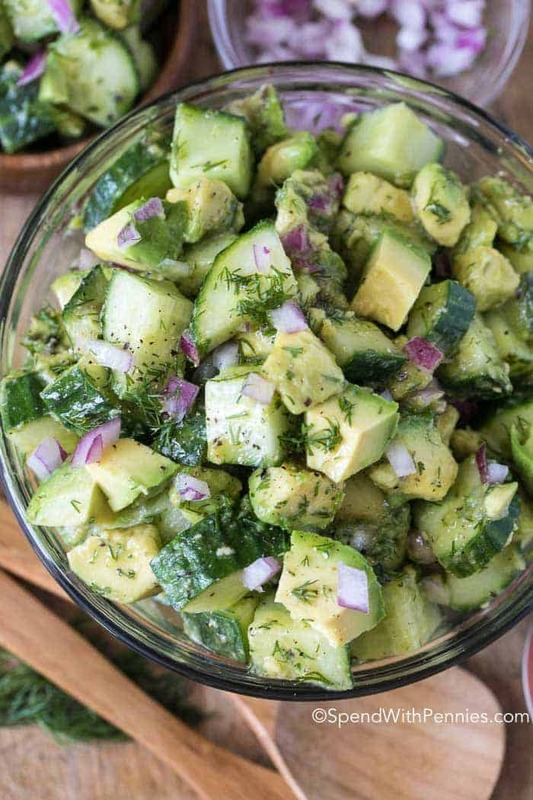 Before you serve broccoli salad, refrigerate it for about an hour. 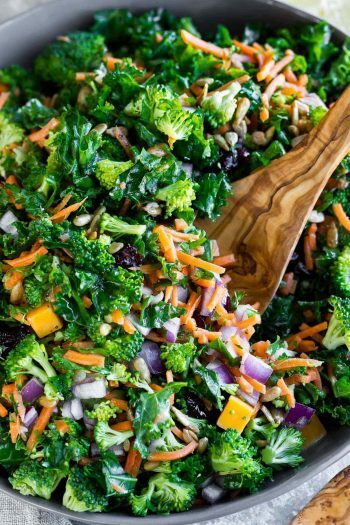 This gives the broccoli a chance to soak in some of the dressing, resulting in an even more flavorful salad! A fresh crisp broccoli salad tossed in a simple homemade dressing! Whisk together cider vinegar, sugar, mayonnaise, salt and pepper in a medium bowl. Set aside. 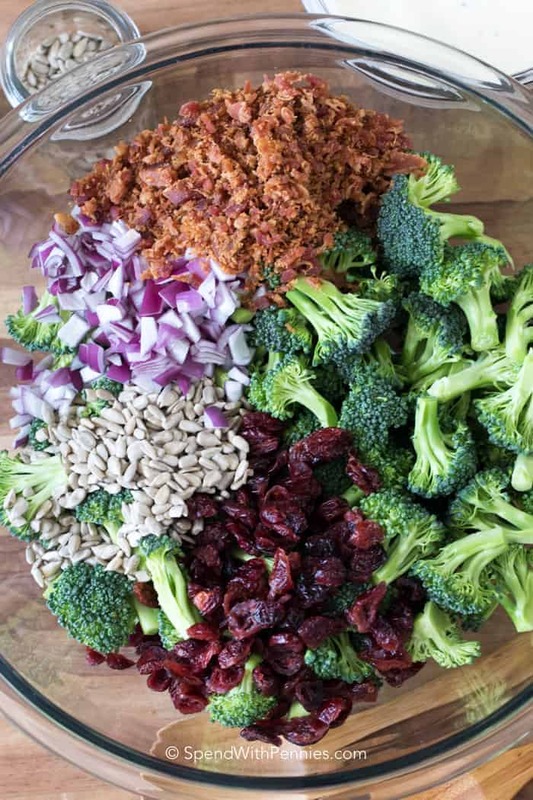 In a large bowl, combine broccoli, onion, cranberries, sunflower seeds, and bacon bits. 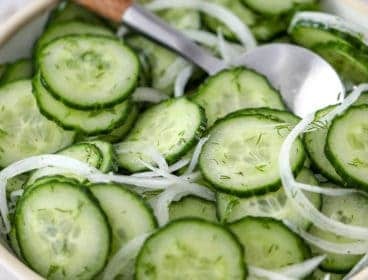 Pour the prepared dressing over and mix well. 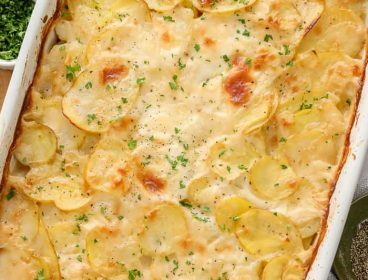 Refrigerate for an hour before serving. 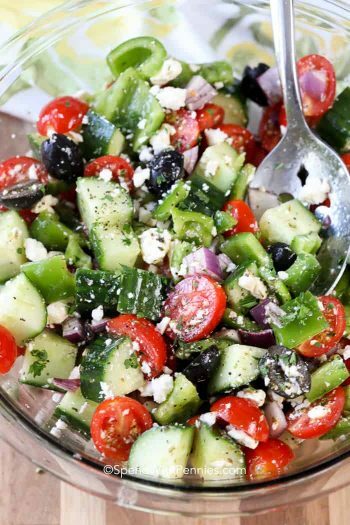 Repin this Super Salad Recipe!